Between the Assiniboia Kinsmen, Assiniboia Kinettes and the Hayley and Cayden Mother's Day Run, we had a community donation total of $24,976.05! The entire 20-hour telethon raised $7,151,256! ​After another successful Telemiracle in the books, the Assiniboia Kinettes would like to thank the community of Assiniboia for their donations, both financial and in-kind. The monies raised for Telemiracle 42 benefit the people and families of Saskatchewan. Telemiracle 41 gives Saskatchewan 5 million reasons to say thank you! We are so incredibly proud to announce that our communities collectively raised $41,555.52! 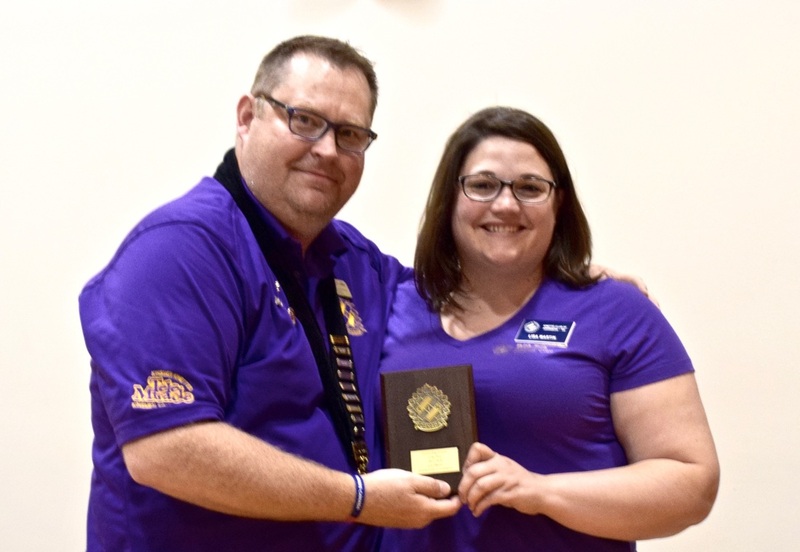 The Kinette Club of Assiniboia received 3 awards at the D3 District Convention on June 10 & 11, 2016. The club was awarded the KinEducation award accepted by Club President Jesse Shkuratoff. 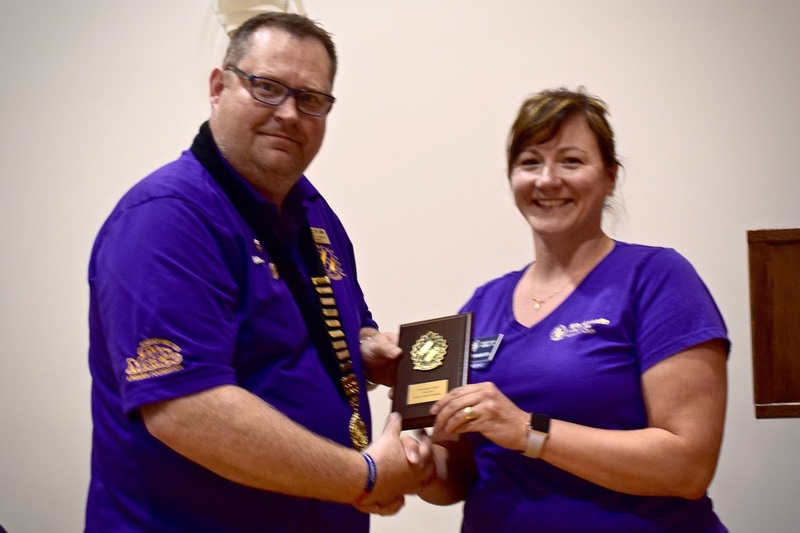 2 individual members were honoured with awards: Justine Bamford received the Zone G Kinette of the Year and Lisa Martin received District 3 Kinette of the Year. At the Town of Assiniboia's Volunteer Recognition Awards supper, two members of the Assiniboia Kinettes were recognized for their efforts. Lisa Martin, a Kinette since 2014, was a finalist in the Volunteer of the Year-Urban category. Lisa is not only a member of our club, but also participates in the Assiniboia Figure Skating Club and the 7th Avenue School SCC. She also volunteers to facilitate a cake decorating club for grades 1 through 4. Congratulations, Lisa! 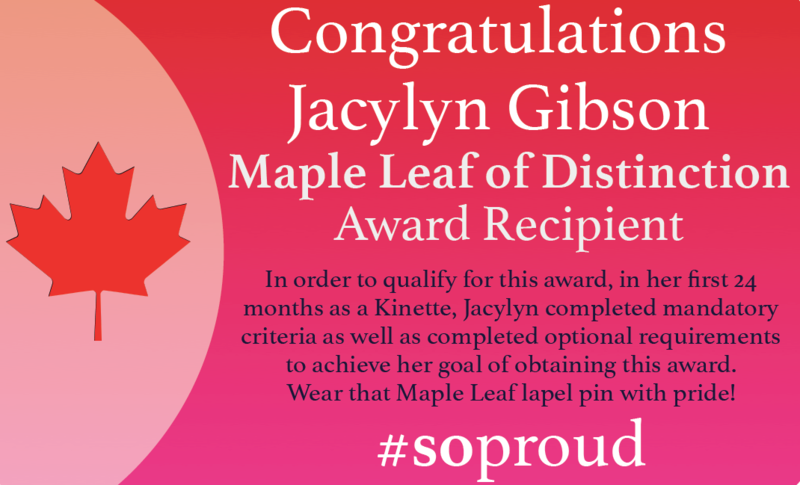 Jacylyn Gibson, who received the Maple Leaf of Distinction award at the National Convention in June 2015, received special recognition at the supper for this national achievement. 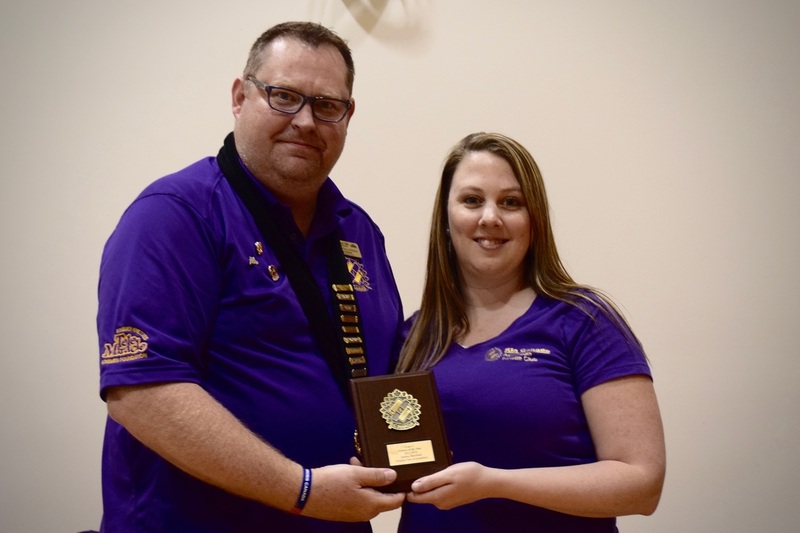 Jacylyn was one of two Assiniboia residents who received national or provincial awards within their service clubs in the past year. The Town also provided special recognition to our club for the numerous activities and awards our club received in the past year. Assiniboia is proud of its community members who volunteer their time to improve the lives of visitors and residents. The Kinette Club of Assiniboia is honoured to be part of such a dynamic and vibrant community! Assiniboia & area raise an incredible amount for Telemiracle! Three small communities can sure make a difference. 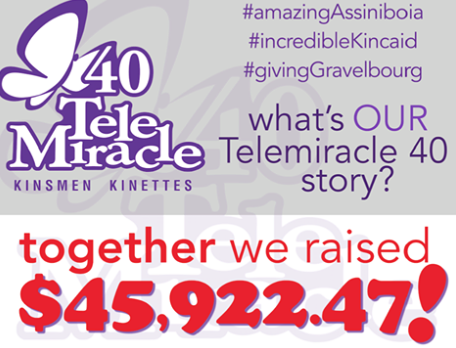 Thank you so much for all the generous donations made within the Assiniboia, Gravelbourg and Kincaid areas to Telemiracle 40, which took place on March 5 & 6, 2016. Together we raised $45,922.47! On January 27, 2016, which happened to be Family Literacy Day, members of the Kinette Club of Assiniboia were present at the Assiniboia 7th Avenue School and Assiniboia Elementary to unveil their newest service project: Books for Bikes. Children will earn entries by completing reading requirements, which are specific to each school/grade level. On May 27, two lucky readers will win a bicycle and helmet! The Kinette Club of Assiniboia is hosting the District 3 Convention in June 2016! The theme was unveiled in their convention bid presentation at the June 2015 D3 Convention in Swift Current. Be sure to watch the club's Twitter feed, Facebook page and website for more details to come! Can't wait to see you all there!